Ironville Barbell Club - Pay The Cost And Train Like A Boss. This Ironville Barbell Club design resurrects our formerly retired original side tricep ghost bodybuilder graphic. 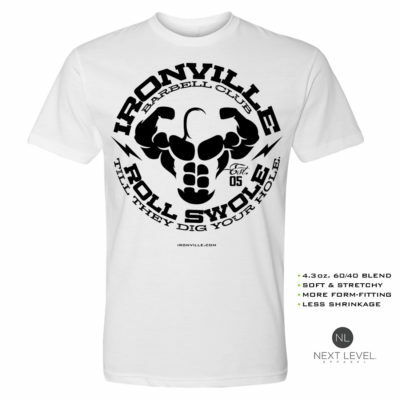 Home > Gym Clothing > Shop All Designs > Ironville Barbell Club - Pay The Cost And Train Like A Boss.